Basically made from March 1955 to June 1958, 354 cars in total. 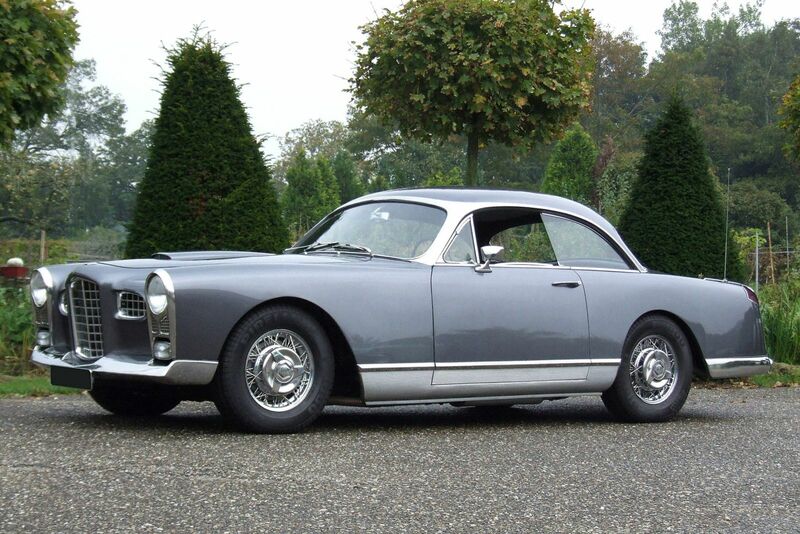 These were the first Facels and originally, they were just called Facel as a marque name and Vega as the model name. 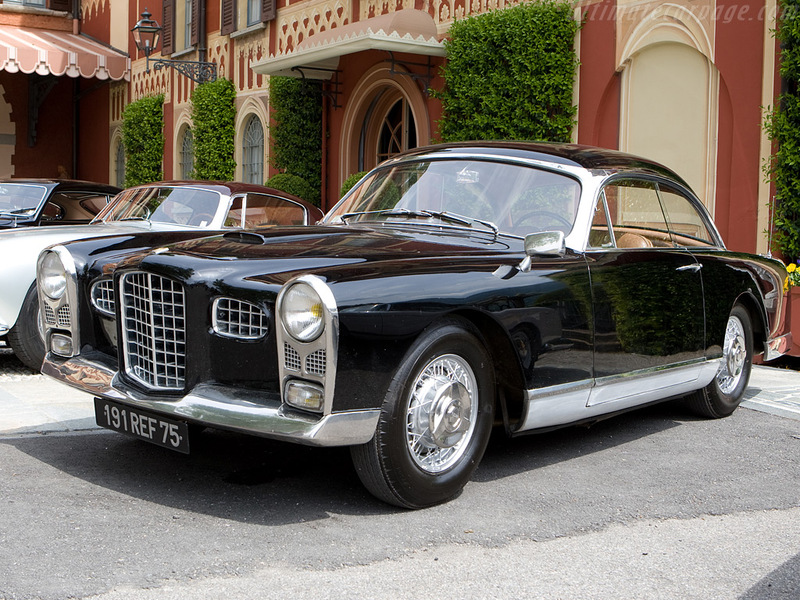 However, gradually they became known as Facel Vegas, certainly by the advent of the FV2B. Even though the factory sometimes used the name themselves, there was never really an FVS; it possibly came from the USA. 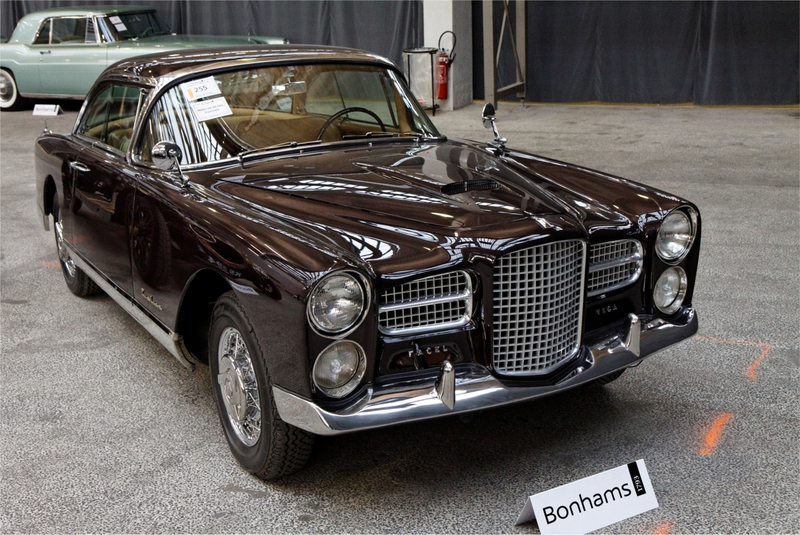 As in many descriptions of the models and the history of the marque, I am indebted to Hans Ruhe for his painstaking Register, compiled in 1990, and Martin Buckley’s Facel Vega tome published by Palawan Press. It might amuse you to see how one model type spilled over into the next. Note that they weren’t made in RHD although an FV3, one FV3B and an FV4 were all delivered to the UK. The FV3B/FV4 situation is very complicated because Facel flitted from manufacturing one model to the other and back again. Indeed, the chassis numbers go from FV3 to FV3B, back to FV3, to FV4, back to FV3, then to FV3B, FV4 again and so on. 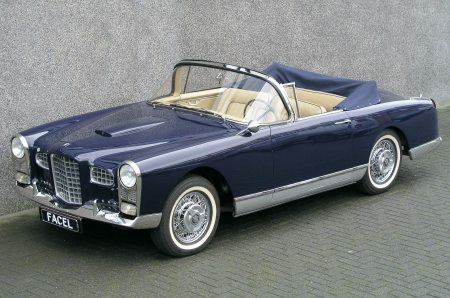 In spite of the demand for convertibles, Daninos didn’t really like making them because – being the purist that he was – he felt they lacked performance, and he was making a performance car. Sometimes he told customers to make a convertible themselves by cutting off the roof. However, he was persuaded, on occasions; he made an FV2 convertible for his wife. Incidentally, I have described passé au mines as registered; this means that it was inspected and passed for manufacture by a government department, basically type approval. Note that the dimensions are the same throughout for all the FVs except for the wide bodied FV3B and FV4; the latter was also heavier. The subsequent HK500 weighed the same as an FV3B and was the same length and width, but two centimetres lower. 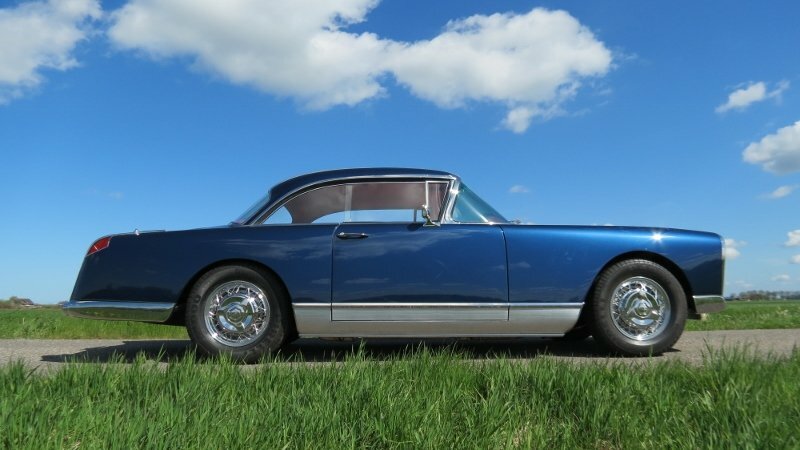 The cars all had independent front suspension with coil springs, but leaf spring-suspended rear axles with a 2.93 ratio for the Pont-a-Mousson manual cars and 3.31 ratio for the automatics. Fuel tanks were 100 litres. Amazingly, eight different specification of Chrysler V8 were fitted to FVs, ranging in size from 4.5 litres/277 cu in to 6.4/392 cu in and 180 bhp to 325 bhp. Specification: No wraparound windscreen yet. Engine is the 4.5 litre/276 cu in De Soto hemi driving through either Pont-a-Mousson four speed manual ‘box (nine cars) or two-speed Powerflite automatic (two cars). Maximum power is 180bhp at 4400rpm giving a 120mph/194kph top speed. Single headlamps. Dimensions are 4.57m long x 1.76m wide x 1.38 high and weight is 1660kg. Manufacturing schedule: 32 cars of which seven convertibles. First registered 15/3/55, and manufactured May to November 1955, delivered 13 May 1955 or earlier, through to mainly August or September 1955 and the last one in November 1955. Specification: Still flat screen but now extended roof line and 12cms longer overall. Power steering optional (one car). Still powered by De Soto Hemi but now 4.8 litres/291 cu in with maximum power up to 200bhp at 4400rpm. Top speed had increased by four kph to 123mph/198 kph for the 27 cars manual cars, there were five automatics. Dimensions are unchanged at 4.57×1.76×1.38 and weight is 1660kg. Specification: First cars with wraparound screen and false wood. Engine is still the 4.8 litre/291 cu in De Soto Hemi but now giving 250bhp at 4400rpm although quoted top speed remained at 123mph/198kph. Dimensions and weight are as before. 24 manuals made, six two-speed Powerflite automatics and five with power steering. Manufacturing schedule: 74 cars including two convertibles; one of the coupes became an FV4. First registered 16/3/56, manufactured between April and October 1956 and delivered April 1956 to 31/10/56. 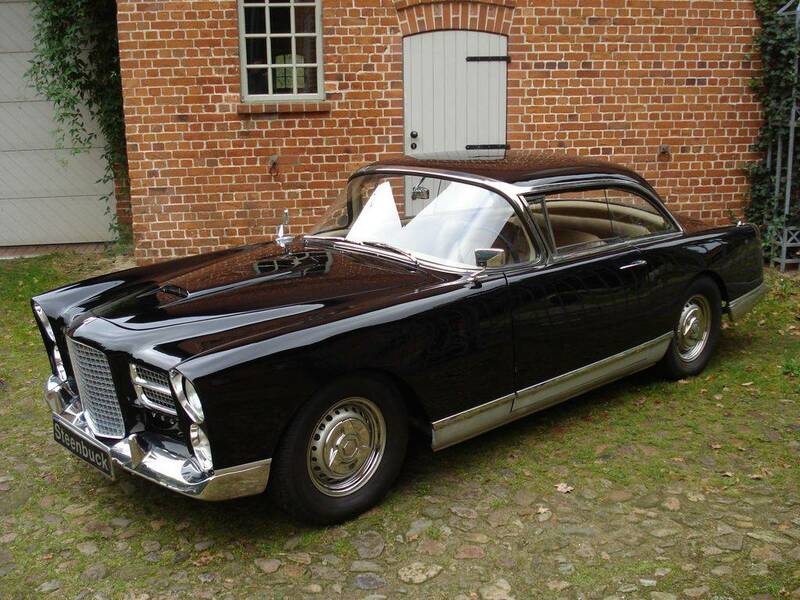 Specification: The De Soto V8 was enlarged to 5.4 litres/330 cu in with increased maximum power up to 285bhp, still at 4400rpm but no change to claimed top speed. Frontal treatment changes with double stacked headlights phased in and double side grills. Exactly half were push-button Powerflite automatics, and half Pont-a-Mousson four speed manuals. Twenty had power steering. Dimensions and weight as before. Specification: De Soto hemi engine replaced by smaller Chrysler Plymouth ‘polyspherical’ of 4.5 litres/277 cu in with a reduction in maximum power to 200bhp at 4400rpm although top speed came back to 120mph/194kph again, as with the FV. Half and half automatics and manuals, 12 with power steering. Improved front suspension. Dimensions and weight unchanged. Manufacturing schedule: First 12 all delivered to Hornburg in USA 12/3/57-27/3/57. Albert Camus’s publisher, Michel Gallimard’s FV3B was delivered on its own on September 1957 before production reverted to FV4 again. Another batch of eight cars was then made September to October 1957 before reverting to FV4 again. Back to FV3B again in later in October 1957 for another nine cars, delivered October and November before reverting to FV4 again. Back to FV3B again in December with another three cars, before back to FV4. Another two FV3Bs then back to FV4. 16 more FV3Bs in January and February 1958 before back to FV4. 39 more FV3Bs were then produced until June 1958. 90 FV3B cars made in total. Specification: The first 12 were all narrow bodied with the same dimensions as previously, but subsequent cars were two centimetres longer and four centimetres wider so now 4.59m long x 1.80m wide x 1.38m high, still weighing 1660kg. HK500s would basically be the same as this but two centimetres lower. The engine had been enlarged to 4.9 litres/301 cu in and giving 253 bhp at an increased 4600rpm. Top speed was now 126mph/203 kph for the 45 cars which were manual with the 2.93 axle, 46 had the new three speed Torqueflite automatic, and the same number had power steering. Manufacturing schedule: FV2B – 56 – 088 became the first FV4 and gained type approval on 9/5/57. 16 were delivered – including the proto – May 1957 to June or July 1957 and most going to the USA before reverting to FV3 again. Production reverted to FV4 in July 1957 with another 13 manufactured and delivered July to October 1957 before production switched back to FV3B again. Back to FV4 again in late September 1957 with eight cars for Hoffman in the USA, finished in October, before FV3B again. Back to FV4 in November 1957 this time for eleven cars until December, before reverting to FV3B again for three cars, then FV4 from December with nine cars before two FV3B and then four FV4s to January 1958 . Six more FV4s in February before reverting to FV3Bs. 67 cars in total. All but two went to the USA. Specification: The first 35 cars were fitted with the Chrysler Hemi V8 C-300B which was 5.8 litres/354 cu in, giving a greatly increased 340bhp at 5200rpm thanks partially to a move to twin Carter carburettors. The final 32 had a similarly designated engine but now 6.4 litres/392 cu in giving 375 bhp at 5200rpm. Both engines were quoted as giving a top speed of 142mph/229 kph. Dimensions were the same as the wider FV3B but the weight increased to 1750 kilos. Only eight of the 67 cars were not fitted with Torqueflite automatic and only nine didn’t have power steering.